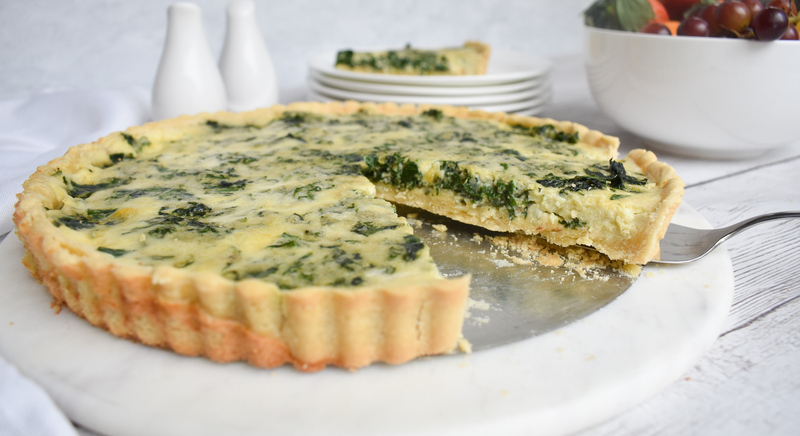 This is a classic recipe for a rich and creamy low-FODMAP Quiche Tart with Spinach and Smoked Gouda Cheese. 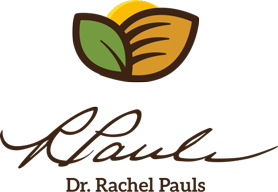 Such a wonderful breakfast, brunch or anytime option. I love using smoked Dutch Gouda in this low-FODMAP Quiche recipe, it adds such depth and richness with that subtle smokey flavor ( kind of like bacon, but without the meat). 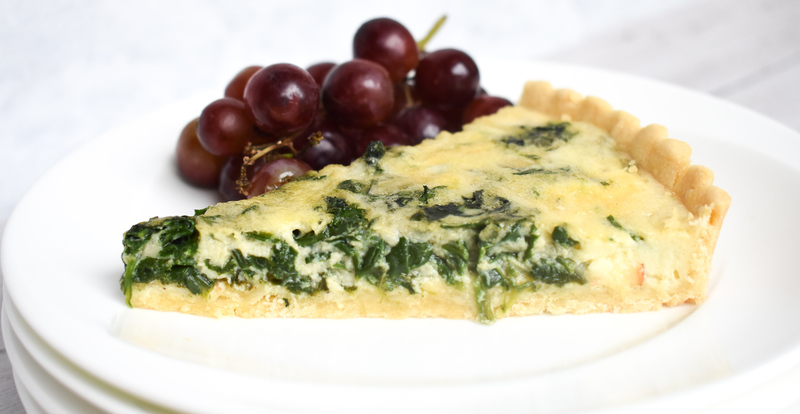 This low-FODMAP Quiche is very easy to make, and the recipe is easily modifiable. Add turkey, bacon, or ham, use broccoli heads or kale instead of spinach and slice a few tomatoes on the top. You can vary it depending on your mood. 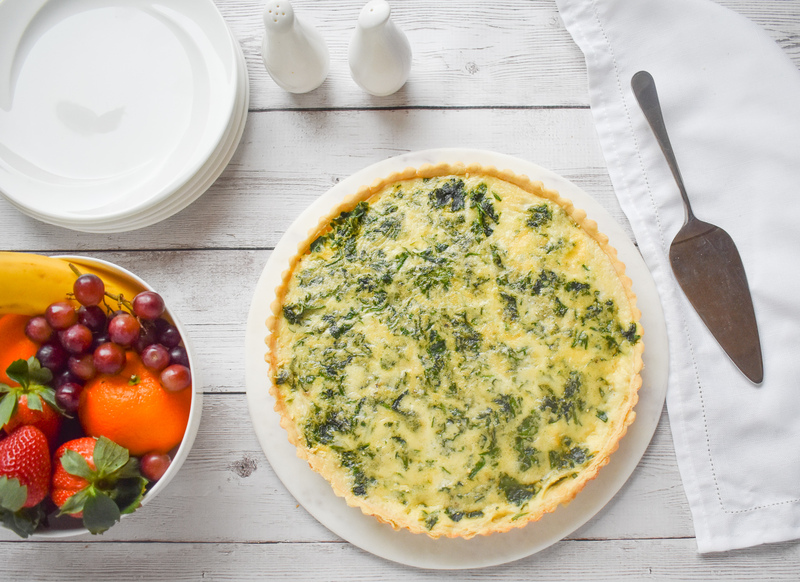 Or…make a few low-FODMAP Quiches for a party of 20 or more and try different low-FODMAP flavor combinations! 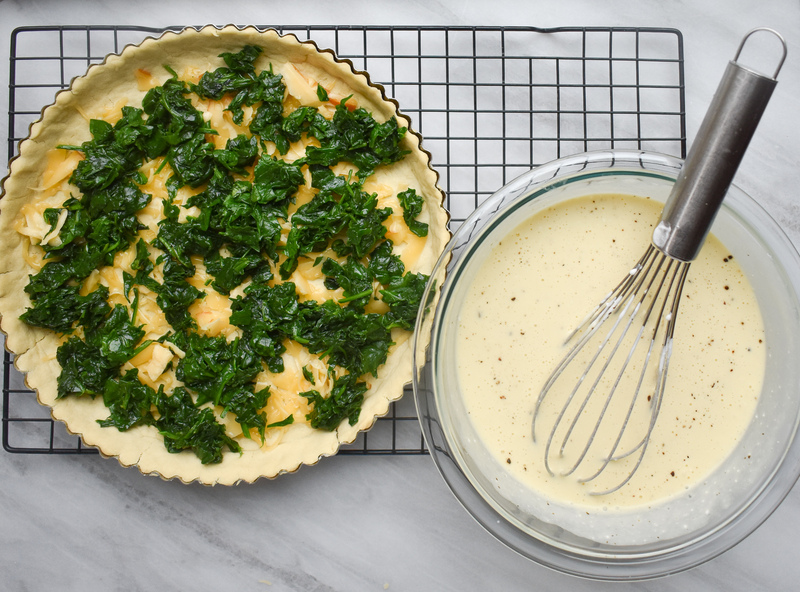 This low-FODMAP Quiche incorporates my low-FODMAP traditional pie crust, which is so easy. You will love the light and flaky texture of this low-FODMAP and gluten-free crust. 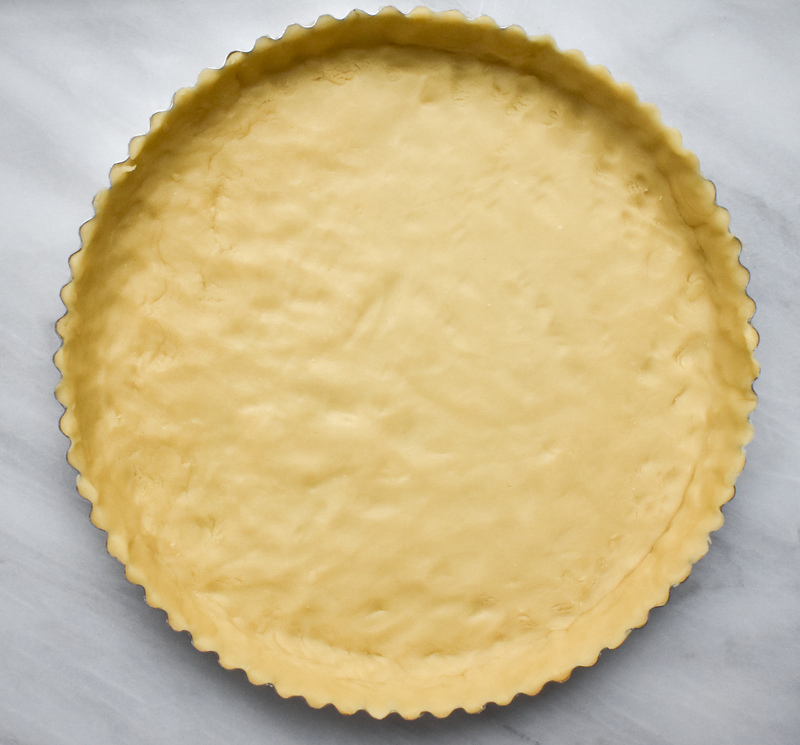 Feel free to bake it as a traditional pie, or in a tart pan (like me). 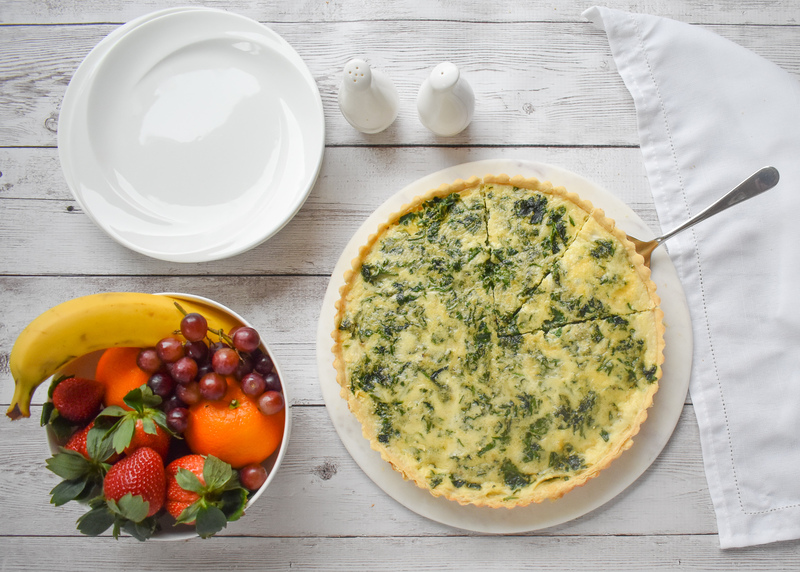 Check out my low-FODMAP recipes for low-FODMAP Frittata, low-FODMAP Breakfast Bake and low-FODMAP Blueberry Pancakes. Or peruse over 200 more low-FODMAP recipes on the blog. 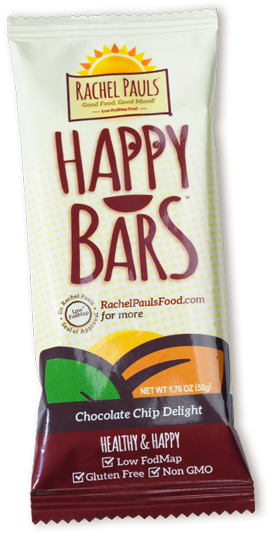 Although this recipe has not been tested, a single serving is intended to be low-FODMAP based on the ingredients. While smoked gouda cheese has not been specifically tested for FODMAPs, similar cheeses are shown to be low-FODMAP. Test for your tolerance, or substitute Havarti or Cheddar in the recipe. Equipment: 10 inch springform tart pan with removable sides. You can use a standard pie plate too, I just find it so much easier to get the crust to come out right for serving with the tart pans. Creamy, crumbly and so healthy! 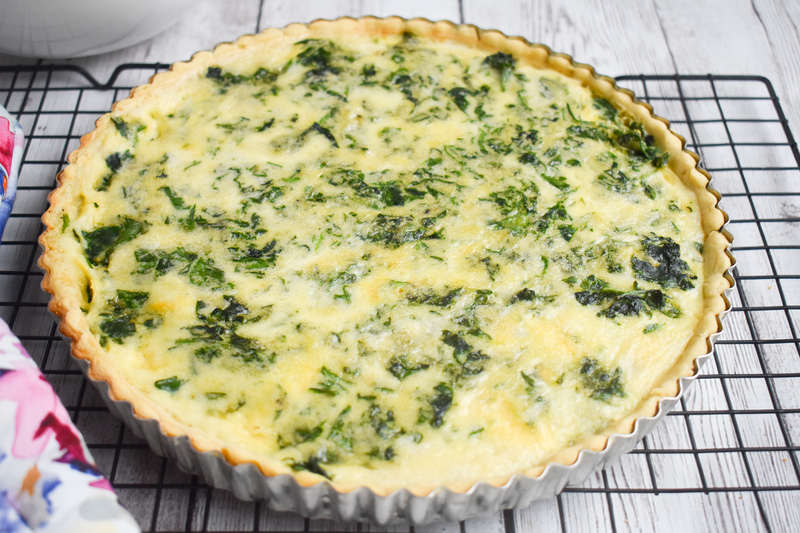 Low-FODMAP Quiche is the perfect meal to impress all your guests.